Infrarot Bewegungssensor (PIR) mit Status LED, 3pol. Verbindungskabel mit im Lieferumfang. 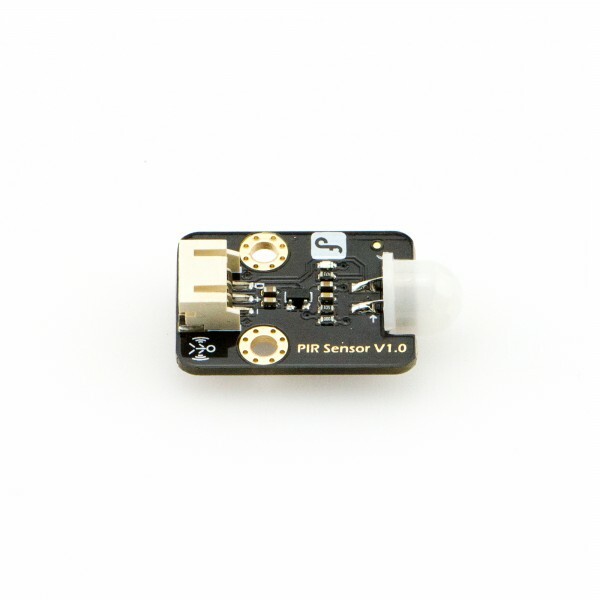 This PIR (Motion) Sensor can detect the infrared signals from the person or animals which are moving, and can output the switching signals. So it can be applied to a variety of occasions which need to detect the movement of the human body. Conventional pyroelectric infrared sensors require body pyroelectric infrared detector, professional chip, complex peripheral circuit, so the volume is slightly big, circuit is complex, and reliability is slightly lower. 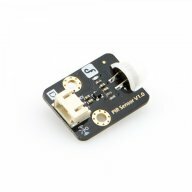 We bring this new pyroelectric infrared motion sensor which is specially designed for Arduino to you, an integrated digital body pyroelectric and infrared sensor, with small size, high reliability, low power consumption, and simple peripheral circuit.